These general terms and conditions apply to every offer made by the company and to any agreement reached, whether or not at a distance, between the company and the customer. Furthermore, where necessary and mandatory, a distinction will be made between the conditions that apply to the sale of the company to another company (hereafter called B2B) and to the sale of the company to a consumer (hereafter B2C). The parties explicitly agree to follow the definitions as stipulated in the Code of Economic Law. Where the provisions of these conditions would conflict with the legal provisions, for example to protect the consumer, only the conflicting provision will be null and void, without further effect on the existence of the agreement, nor on the other clauses. These conditions always prevail over the conditions of the other contracting party, unless the law stipulates otherwise. Any deviation from these terms and conditions must be recorded in writing and pre-determined and accepted by the company. Before the distance agreement is concluded, the text of these general conditions is made available on the website of the company. By ticking the “general terms and conditions” the buyer expressly acknowledges the existence and the content of it, all this before the purchase is closed. In the case of an ordinary sale, the buyer acknowledges to have received a copy of these general terms and conditions from the entrepreneur and to have taken cognizance of its contents. Subject to what is stated hereinafter, the agreement is concluded at the moment of acceptance by the buyer of the offer and compliance with the corresponding conditions. (only B2C): If the consumer has accepted the offer electronically, the company will electronically confirm the receipt of the acceptance of the offer as soon as possible.. If the agreement is established electronically, the company will take appropriate technical and organizational measures to secure the electronic transfer of data and ensure a secure web environment. If the consumer can pay electronically, the company will take appropriate security measures to this end. The company can – within the legal framework – inform itself whether the consumer can meet his payment obligations, as well as all those facts and factors that are important for a responsible conclusion of the distance agreement. If, on the basis of this investigation, the company has good reasons not to enter into the agreement, it is entitled to refuse an order or request, stating reasons, or to attach special conditions to the execution. After the order is placed, the company will send the consumer a confirmation of receipt, in writing or another durable data carrier available and accessible to the consumer. (only B2C): The right of withdrawal and the conditions and manner of exercise. When purchasing goods, the consumer has the option to cancel the contract within 14 calendar days without payment of a fine and without giving any reason. This withdrawal period commences on the day after the delivery of the good to the consumer. During the withdrawal period, the consumer will handle the goods and the packaging with care. He will only unpack or use the goods to the extent necessary to assess whether he wishes to keep it. The exercise of the right of withdrawal by the consumer is only possible in the following manner and under the following strict conditions. The consumer can return his order to the company no later than 14 calendar days from the day following the delivery of the goods. Returned items will only be accepted if the goods are returned to the company with all delivered accessories and – if reasonably possible – in the original condition and packaging by registered mail or with acknowledgement of receipt. The date of the confirmation of receipt serves as proof of a timely complaint. Any labels with barcode on the packaging must also be present and intact. When returning goods, the consumer bears the responsibility for damage or loss. If the consumer exercises his right of withdrawal, the direct costs of returning the goods shall be at the expense of the customer. The consumer will however be entitled to a refund of the price. If the consumer has paid an amount, the company will refund this amount as soon as possible but no later than 30 days after the return or cancellation. The company can exclude the right of withdrawal of the consumer under the conditions, as provide hereinafter. The exclusion of the right of withdrawal only applies if the company has informed the consumer of the absence of a right of withdrawal (see above). Exclusion of the right of withdrawal is only possible with regard to the delivery of goods that are manufactured according to the specifications of the consumer or that have a clear personal character or that can not be returned due to their nature. During the validity period stated in the offer, the prices of the offered goods and / or services will not be increased, except for price changes due to changes in VAT rates. Notwithstanding the previous paragraph, the company can offer goods or services whose prices are subject to fluctuations in the financial market and on which the company has no influence, with variable prices. This dependence on fluctuations and the fact that any prices mentioned are by approximation, will be specified in the offer. (only B2C): The prices specified in the offer of goods or services, include all taxes, levies and services that must be paid by the customer. The consumer can be asked to bear the shipping costs. In this case, the amount will be communicated to the consumer in advance. In case of execution of the right of withdrawal, these costs can not be retrieved. The company warrants that the goods comply with the agreement, the specifications stated in the offer and the legal provisions and / or government regulations existing on the date of the conclusion of the agreement. The buyer is aware that the colour on a digital image may differ from reality. (only B2C) the consumer will perform a mandatory check of the conformity during the withdrawal period. Apart from this possibility, deviations from the digital image can never be a reason for dissolution, termination or compensation. The company is not obliged to accept returned goods, nor to reimburse the paid purchase price. The company can only be held responsible insofar as the buyer proves that no serious error or serious negligence has been committed, in case of intent or if the company has not made an undertaking that constitutes the main performance of the company. The company can never be held liable for incorrect and / or improper use of the sold goods by the buyer, nor for damage caused by third parties. The company will exercise due care in the execution of orders for goods. (B2B): the delivery of the goods takes place at the place agreed in the agreement. If no place of delivery has been agreed, delivery will be made to the company’s domicile. (only B2C): The place of delivery is the address that the consumer has disclosed to the company. The company will execute accepted orders at the latest within 30 days, counting from the day following that on which the buyer has sent his order to the company, unless a longer delivery period has been agreed. In any case, the delivery period only commences on receipt of a regular and complete order. The delivery period is extended in the event of late submission of documents and information necessary for the proper completion of the execution, even if this delay can not be attributed to the buyer. (B2B): the predetermined execution time is only indicative and can, unless otherwise agreed and in writing, be no reason to dissolve the agreement. (only B2C): If the company does not execute the agreement on time, the consumer has the right to dissolve it without judicial intervention and by registered letter to the company, provided that at that time the company has not yet sent the ordered goods. No compensation and no expenses can be claimed from the consumer on account of this dissolution. In case of dissolution in accordance with the previous paragraph, the company will repay the amount that the consumer has paid within 30 days after termination. Any case of Force Majeure or coincidence automatically frees the company from any obligation without any entitlement to compensation of damages. If the company is dependent on deliveries from third parties, the aforementioned provisions also apply in the event of force majeure or coincidence on the part of these third parties / suppliers, as a result of which the deliveries would be delayed or no delivery would take place at all. Among other things the following events are considered cases of force majeure: accidents, equipment breakage, exceptional traffic, exceptional climatic conditions, strikes or lock-outs, war and conflicts, fire, import or export restrictions or other measures taken by the government, price increases at suppliers, etc. The unacceptable and unavoidable nature of the aforementioned circumstances is always deemed to have been acquired. Unless otherwise agreed, the amounts owed by the customer must be paid immediately and in full at the time of concluding the agreement. The consumer has the duty to report inaccuracies in provided or stated payment details to the company without delay. In the event of buyer default, the company has the right, subject to legal restrictions, to claim interest at 10% per annum and 10% compensation on the invoice amount (with a minimum of 30 EUR). (only B2C): a similar arrangement applies insofar as the company performs its commitments in an erroneous manner. In case of breach of contract by the buyer, the company can either demand the performance of the contract or a flat-rate compensation amounting to 30 percent of the sale price, subject to proof of a greater damage. (only B2C): the consumer has a similar right in case of breach of contract by the company. Goods remain the exclusive property of the company, as long as the price is not paid in full. (B2B):Complaints about the implementation of the agreement must be submitted to the company fully and clearly described within a period of 8 days after the buyer has observed the defects or could have been able to observe them, had he carefully inspected the received goods. The complaint must be filed by means of registered mail or mail with a confirmation of receipt. The date of the confirmation of receipt serves as proof of a timely complaint. (only B2C): Complaints about the implementation of the agreement must be submitted to the company fully and clearly described within a period of 30 days after the consumer has observed the defects or could have been able to observe them, had he carefully inspected the received goods. The complaint must be filed by means of registered mail or mail with a confirmation of receipt. The date of the confirmation of receipt serves as proof of a timely complaint. Complaints filed with the company will be answered within a reasonable period after the date of receipt. If a complaint requires a foreseeable longer processing time, the company will respond within a reasonable period of time with a notice of receipt and, if possible, an indication of when the buyer can expect a more detailed answer. All agreements between the company and the buyer are exclusively governed by Belgian law, with the exclusion of the Vienna Sales Convention (C.I.S.G.) and any other international regulations of which exclusion is permitted. 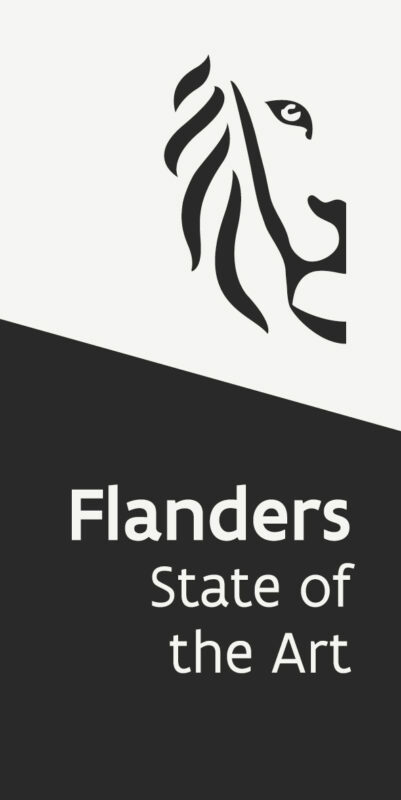 All disputes arising from agreements between the company and the buyer fall under the exclusive jurisdiction of the courts of West Flanders, Bruges department, c.q. Ghent, Bruges department, being the place where the contract was concluded. The fact that the buyer has not received these terms and conditions in his legal mother tongue does not absolve him of their application, unless he had submitted the request in due time to obtain the necessary translation. Additional or deviating provisions must be recorded in writing and in advance. (only B2C): this must be done in such a way that it can be stored by the consumer in an accessible manner on a durable data carrier.